You will receive an auto-invoice after you register. Only checks are accepted at this time (no credit cards). 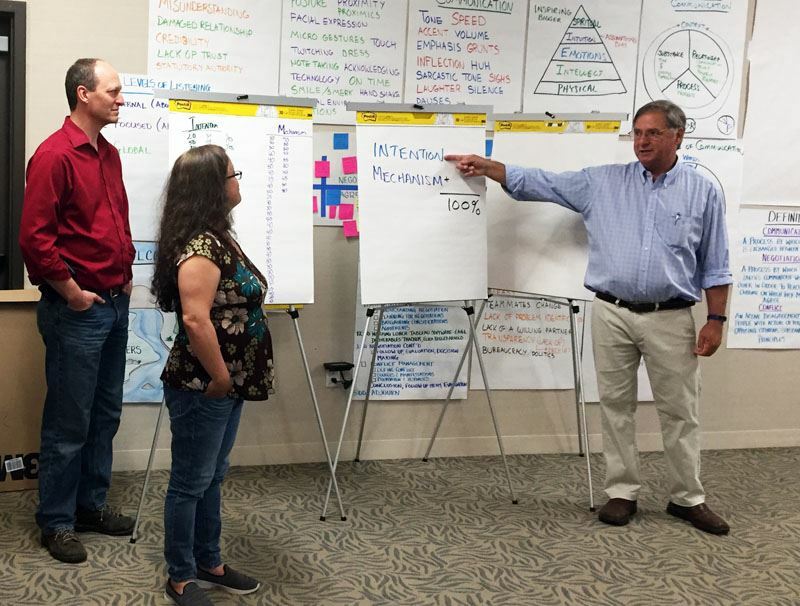 This popular facilitation training will provide you with the skills needed to plan, design and facilitate meetings more effectively, with lower anxiety and better meeting outcomes. We present principles needed for successful meetings of any size, from small staff meetings to large controversial public meetings. This course is intended to be a practical approach to improving group meetings. It is oriented specifically to the needs of scientists, planners and resource managers. Core facilitation skills are presented and practiced during class. Students are presented with a wide array of tools and opportunities to practice new facilitation skills and receive feedback in a safe environment. Participants will be asked to complete a pre-workshop skills profile and the class will be tailored to meet the class’s needs. Understanding the roles and responsibilities of the facilitator, assist team, meeting leader, participants, etc. Instructor: Jim Nelson held several responsible positions with the California Department of Fish and Game until he retired at the end of 2006. Since then, he has owned and operated Nelson Facilitation LLC. Since the early 1990's Jim has pursued the study and practice of facilitation, negotiation, and mediation for environmental problem solving. He has facilitated many meetings, small and large, simple and complex, friendly and controversial. He brings a wealth of training and experience to share in creating grace and ease in your meetings.